Ideally, in a perfect world, we’d accomplish all of our goals without a sweat and tackle crazy workloads with no problem. We’d have a clear head to turn plans into action and we’d have the focus to get things done in a timely manner. We have those days and those moments where everything goes as planned but there’s also those days we get bogged down. We are hindered by brain fog, we lose all energy and focus and our stress spirals out of control. Now imagine the opposite – your life with mental clarity. The brain fog gets lifted, the focus and energy flows, the stress evades you. Welcome to the world of Nootropics. Nootropics are crafted to safely enhance cognitive function on a variety of levels, helping you be your very best. Commonly referred to as “smart drugs”, these ingredients help boost energy, mood, focus, creativity, and memory. They work by strengthening neural networks in our brains and increasing cognitive performance. Attention has been a struggle for me since I was a kid. I’ve learned tricks to push past a distracted mind, but it’s still an obstacle I face every day. When I heard NutraBio was coming out with nootropics, I got really excited! My day typically starts at 4AM and is jam-packed until 8pm. I have a lot going on between a full-time job and training as a professional athlete. Every second counts, and I can’t afford to get off task and lose focus. I started taking nootropics about two months ago. I started using NutraBio’s Alpha GPC and immediately felt more relaxed, organized and focused. I got more done and my time management skills improved, allowing me to get to bed earlier and get more sleep. 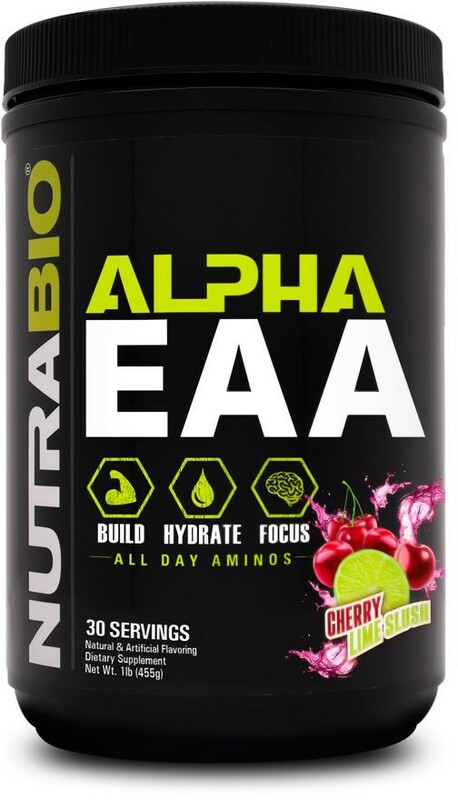 It wasn’t until attending this past year’s Arnold Classic with Team NutraBio, that I tried NutraBio’s newest nootropic breakthrough, Alpha EAA. I mixed myself a scoop and drank it without anticipating or expecting much of anything. Trade shows, especially the Arnold, are a sensory overload packed full of excitement with people, products and loud noises everywhere. After finishing a serving I almost immediately felt my senses heighten, but in a very calm and relaxed way. I became naturally energized, aware and focused. It wasn’t at all the type of energy, awareness and focus you’d find in an over-caffeinated energy drink, it was mental clarity, dissipating the daily struggles I normally face. It was as though a filter had been laid over the moment, sharpening everything and making it crystal clear. Alpha EAA is a full spectrum EAA matrix with an added focus component. The focus blend includes three nootropics in it which are Alpha-GPC, VitaCholine and Huperzine A. These ingredients help support improved brain function, mental acuity and memory, and enhance power output and muscular contractions. Alpha EAA is the perfect option to go for anytime of the day when you need a boost of focus without the usage of stimulants. 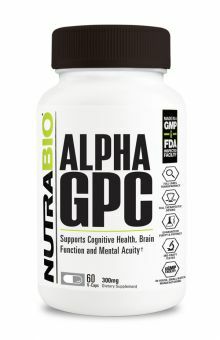 Alpha GPC is another one of our best-selling single ingredient nootropics at NutraBio. Alpha-GPC is a choline-based supplement that promotes enhanced cognition, increases power output, improves memory recall and has neuroprotective properties which may aid in cognitive aging decline. Alpha GPC is best used pre-workout to enhance athletic performance and workout efficiency. 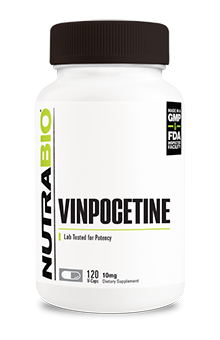 Vinpocetine is our longest standing nootropic product at NutraBio and we’ve keep it around for good reason. Vinpocetine is a compound which supports cognition, memory formation, energy and brain health. Vinpocetine is best used several times per day with meals to promote mental acuity and neuroprotection. Our world is full of distractions and these distractions are what prevent us from successfully achieving our goals. The extensive benefits of nootropics help us maximize our potential and stay on top of our game. We can now live a more clear, focused, energized and stress-free life. This entry was posted in Supplements, Team NutraBio. Bookmark the permalink.